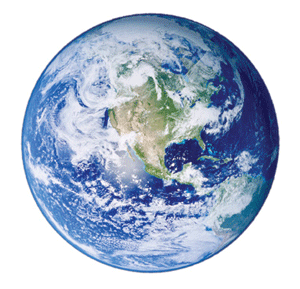 Andersen®'s commitment to environmental stewardship is at work in every level of their company. From purchasing policies to manufacturing to the energy needs of your home, long term sustainability is the standard by which all is focused. The replacement window division of Andersen®, Renewal by Andersen®, has been recognized for its eco-friendly green window manufacturing technology in the United States by being distinguished as Green Seal Certified. 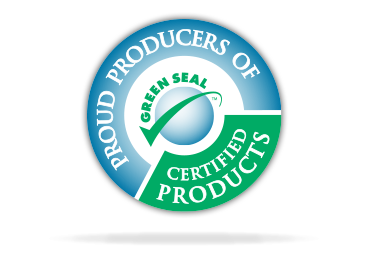 Meeting the tough requirements of Green Seal has meant that Renewal by Andersen® adopts environmentally friendly practices in all areas of its business. You might say the environment has become as much a part of Andersen®’s fiscal responsibility as their goals to create a beautiful, durable window and door business. It has paid off; Andersen® now reports that 98% of all raw manufacturing materials that go into their Renewal by Andersen® products are used completely, without creating environmentally damaging waste or pollution, and consciously sustaining our natural resources. Protecting the environment is the goal of Renewal by Andersen®'s manufacturing process, and the good news is that it extends to you and your home as well. After your new windows are installed, your home is more energy efficient than most homes in America. "If all windows in the U.S. were as energy efficient as those made by Renewal by Andersen®, Americans would save up to 2.5 percent of the annual U.S. energy consumption - an estimated 200 gallons of oil for every household in the U.S."
This high measure of efficiency substantially reduces the energy required to keep your home comfortable. You no longer waste valuable energy compensating for drafty, poorly insulated windows. Andersen®'s FIBREX® windows protect your home from that wasteful energy loss, help maintain the temperature you want for a longer time, and cut your power bills. Engineered to be durable, long lasting, and low maintenance, FIBREX® windows reduce the need for future replacement. You make your window investment once, and you put an end to wasteful, short-term solutions for window replacement. Think about it, no additional materials or manufacturing are needed to replace your windows again in 5 or 10 years and you will enjoy the benefit of all the energy savings. The energy used in manufacturing and the by-products created during the manufacturing process, have enormous affects on environmental welfare. At the Andersen® Corporation: landfills, air quality, and fuel consumption are all top concerns when it comes to the health and sustainability of our planet. A steam generating facility was added to Andersen®'s 65-acre manufacturing campus in 2007. Fueled by sawdust, a renewable resource and a by-product of manufacturing, the facility generates enough energy to heat and cool the entire plant, as well as power the equipment used in the manufacturing process. Two wood-fired boilers responsible for generating the steam are outfitted with equipment that removes particulate matter from their exhaust. The ash by-product, left from the burning, is used by area farmers to improve the quality of the soil in their fields. VOCs, Volatile Organic Compounds, vaporize into our atmosphere and significantly contribute to the pollution of our air, groundwater, soil, and even indoor air quality. The EPA regulates exposure to VOCs, which are typically found in industrial paint and paint thinners, cleaning solvents, and wood preservatives. By switching to a water borne wood treatment system, Renewal by Andersen® dramatically reduced VOC emissions by an unprecedented 60%. Additionally, because FIBREX® material creates maintenance-free windows that never need to be painted, the VOCs associated with painting are eliminated as well. Every day, manufacturing companies release toxic gases into the air as a result of their manufacturing processes. Since 1980, the EPA has required manufacturers to monitor and report these gases in a Toxic Release Inventory to ensure they don’t pose a threat to air quality or public health. With its 96% reduction, Andersen® now far surpasses the EPA's requirements. You read that right: 83% waste reduction. Nowadays landfills are better engineered and regulations are in place to minimize their impact on our environment. But they can still take a huge toll, such as the off-gassing of the greenhouse gas methane (produced from decaying organic wastes) and possible ground water contamination. By refining and improving its manufacturing operations and recycling waste, Andersen® has reduced its volume of solid waste material significantly, which can also extend the life of our existing landfills. Sometimes the simplest course of action is one of the most productive. By switching to High Efficiency T-8 Fluorescent light fixtures in its manufacturing plant, Renewal by Andersen® reduced their energy consumption by an impressive 20%. There’s Always Something Happening in Mr. Rogers’ Neighborhoods! At Andersen®, Recycle, Reduce, Reuse is more than a motto - it's a commitment. 5% of materials used overall at Renewal by Andersen® are recycled materials. 16% of all manufacturing materials are reused materials. 12%-17% of the glass used in Renewal by Andersen® windows contains recycled content. 25% of the corrugated box material used to package your FIBREX® windows is post-consumer material. Andersen® recognizes the value in all materials. By reclaiming wood fibers, the revolutionary patented FIBREX® material not only reduces waste, it also reduces the demand for raw wood resources and diminishes the substantial carbon footprint left by logging. 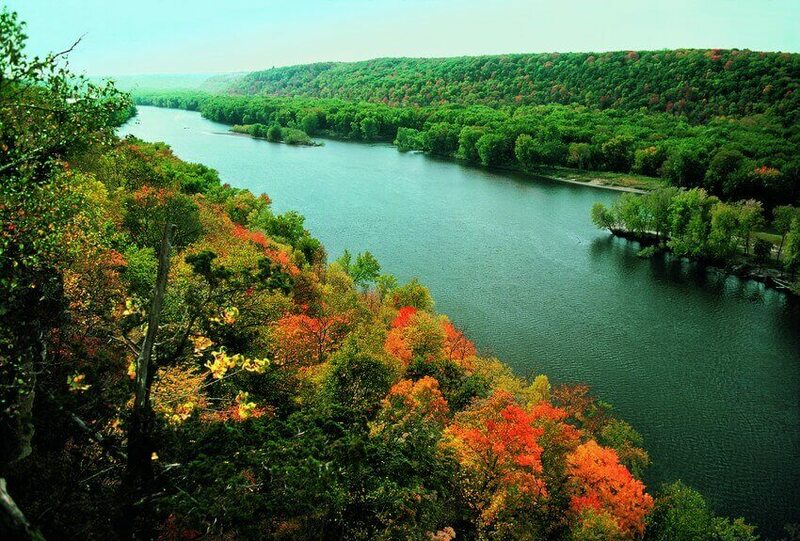 Andersen® understands that healthy forests and the ecosystems they create are a critical part of maintaining our planet. They're commercially important, too, yielding valuable resources like medicinal plants (for cancer drugs), rubber, and of course, wood. To help protect forests from destructive logging practices, Andersen® buys the majority of its wood, 70 percent, from FSC certified suppliers whenever possible. The Forest Stewardship Council (FSC) is an independent, international, nonprofit organization that runs the forest certification program to ensure compliance with its forest management standards. It has taken many years of commitment for Andersen® to achieve its leadership role as an environmentally-conscious replacement window manufacturer. Through the company’s initiatives and vision for our natural world, it continues to reach above and beyond the bottom line in every area of its operations. That long-term, consistent commitment is evident in the fact that Andersen® is the first window and door manufacturer with Green Seal certified products - the mark of a holistic environmental approach. So, the next time you see a Green Seal label on Renewal by Andersen® windows, you can feel good about supporting a company that works every day for a healthier, sustainable way of life for our planet and future generations to come.